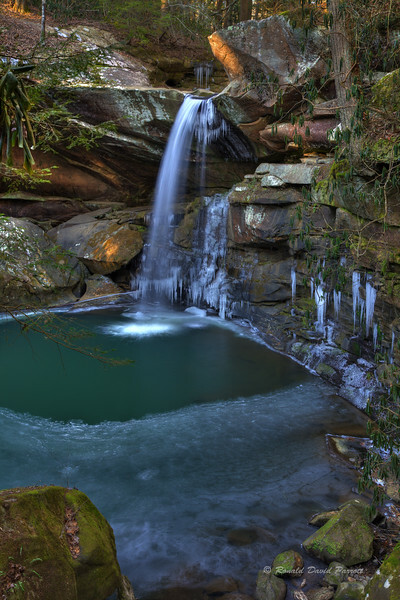 The freeze over has started at Flat Lick Falls. They may have to update the "No diving or jumping" sign to include "No ice skating." That hole is deep!